Gary has over 20 years recruitment experience, the latter fourteen of which have been in executive search. Having worked with a number of established search firms over that time, he set up in business in January 2012, initially as a Joint Venture, to bring something different to the Executive Search market. The difference is the service he brings. An unparalleled network of contacts built up over 20 years and a unique skill in assessing chemistry fit between exec and business, leaves him in an unbeatable position to know, and find, key individuals for all manner of businesses. So strong is Gary’s ability to deliver, is happy to commit to a specific delivery timescale of as little as 8 weeks, against an industry average of 24 weeks (backed by a 100% cash-refund), and furthermore offer a genuine Unique Selling Point: Offering a 12 month guarantee on placements; His attitude being that a search fee is based on a year’s salary, therefore it should be underwritten for as long – accordingly he offers a 12 month free-replacement on placements. Gary has become a very well known as a leading Executive Search figurehead in the North of England and beyond, as well as an outspoken business commentator. He has a reputation for being straight talking, innovative but above all focussed on delivery – he has a 100% successful completion track record on retained assignments. Gary has also been called the ‘go-to’ man for executive career advice in the North of England, never afraid to give counsel, advice and opinion. Having specialised in C-Level senior appointments for over a decade, his network of contacts, experience in designing methodologies, completing against set briefs and understanding the chemistry fit gives him an unrivalled position in the North. Gary has successfully completed on HR, Sales, General Management, Finance, Procurement, Operational and Non-Exec mandates. Gary gained notoriety in late 2011 when a sarcastic email sent to some industry colleagues was exaggerated and appeared as headlines in international media, the response has been even more notable. In standing tall (figuratively speaking) throughout the story and adopting a positive stance, he demonstrated the value of a ‘can-do attitude in business….as well as the obvious benefit for a headhunter of becoming very well known. Aside from over 1000 messages of support and almost 40 job offers from around the world, it created an example of what can be achieved as well as the value in being straight talking. All this was in the same 12 months as organising a Charity Bike Ride from London to Manchester raising £15,000 for Royal Manchester Children’s Hospital, winning the hospital charity award with Theo Paphitis followed by a bravely (or stupidly) undertaking White Collar Boxing (Video/Pictures here). 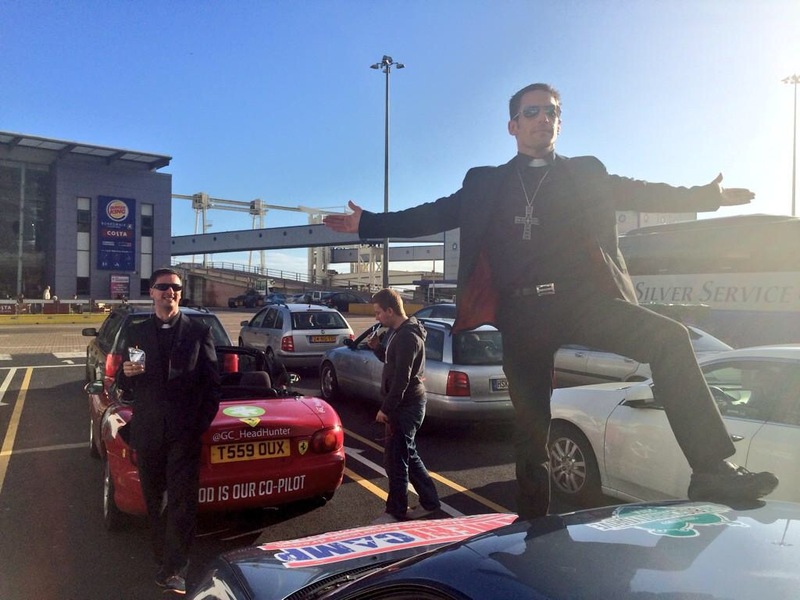 He has since adopted the Dean Martin character (dressed as a Priest) from Cannonball Run and driven a £500 banger across Europe for charity (and planning to double the feat in 2016 – driving to the Czechoslovakian border, again dressed as a Priest(!)). He is now starting preparations for his latest Charity Adventure….600km bike ride across the South of France – again raising money for the Royal Manchester Children’s Hospital, the charity that he is an ambassador for.